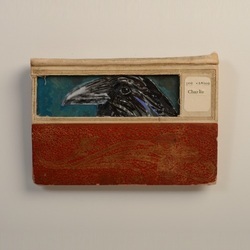 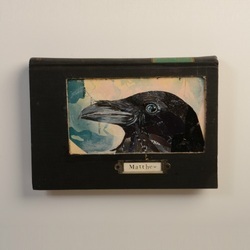 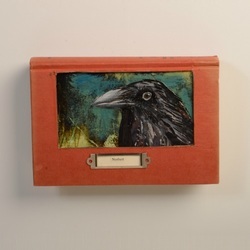 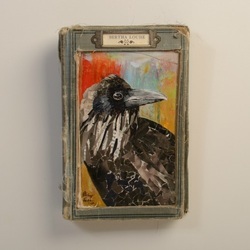 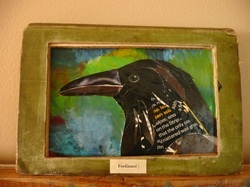 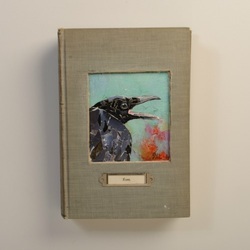 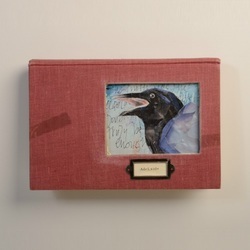 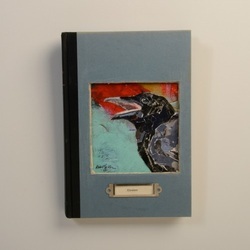 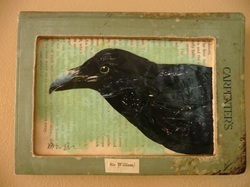 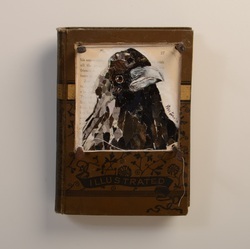 The Book Raven Series is crafted from vintage books and collaged from bits of recycled magazine pages. 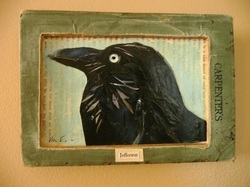 Ravens are birds with attitude and unique personalities. 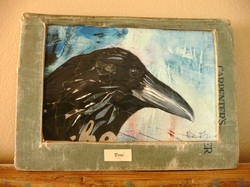 As I've worked on each of them, their names have come to me as they've emerged from scraps of paper and dabs of glue. 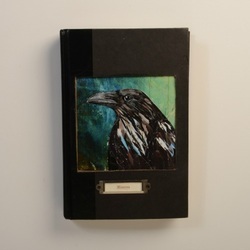 They retail at $185 each and are generally 5.5 x 7.5 inches or so, depending on the individual book size. 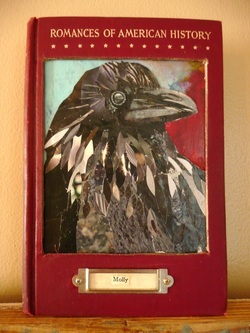 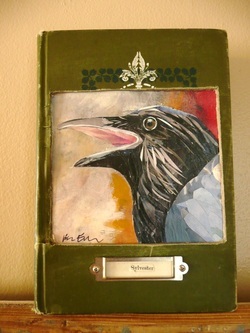 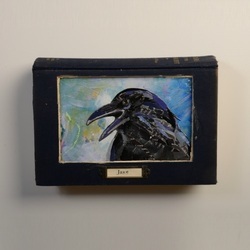 There are many more book ravens available, each with his or her own name and personality. 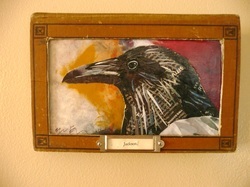 ​Feel free to contact me if you would like to see more!